Setting goals is one thing and aligning yourself with your goals is another. Most people fail to achieve their goals because they don’t align their lives, their actions, and their thoughts with their goals. When you and your goals are in harmony, the results you want will come to you. A lot of people have the wrong perception to think that goal setting is a one-time process. All they need to do is to identify what they want to accomplish in their lives, and that’s it. If this is describing you, then you’re doing it wrong, my friend. The first group of people is where they just dream and think about what they want. They don’t write down what they want. And daydreaming is pretty much what they do. The second group of people is where they choose to clarify their dreams by writing down the things that they want to achieve. They may even create plans to accomplish their goals. The third group of people is where they write down their goals, they create plans, and they take action. But still, there is a high chance that you are going to fail here. The final group of people is where they all the above, plus, they also align themselves with their goals, every day. The last group of people are the real achievers. They are the ones that commit to their goals. They write down what they want. They create plans. They act of them. They visualize them. They talk about their goals. They read and improve their skills. They track and measure their progress. And they also celebrate their victories. And this is exactly what you need to do to align yourself with your goals. You don’t just think about your dreams. You don’t just write down your goals. You don’t just create plans. You don’t just act. You align your daily actions – your life, with your goals. In other words, you literally make your goals a part of your life. That’s how successful people manage to achieve all their goals because they are living them. 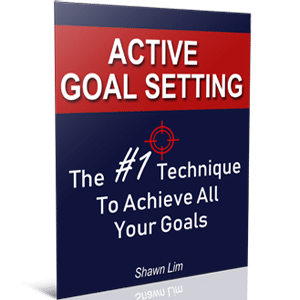 So you want to achieve all your goals? Then align yourself with your goals. And here are 8 ways how you can do so. This is obviously the most effective and best way to connect yourself with your goals. You just act on them. Taking action aligns your life with what you desire to achieve. You don’t just talk about it or think about it, you take action. When you do rather than just thinking about it, you create the ripple effect by making progress. You condition your mind to believe that you can do it. And more importantly, you are sending a message to yourself that your goal is important, and that is why you acted. Most people just dream about what they want or think about it, they don’t do anything to materialize their dreams and goals. If you’re not doing anything at all, you will never get the results you want. It’s simple. If you want something, you will have to do it. There is no way you can be successful and live your dream life by just thinking and dreaming about it. Action is the key that connects your dream world with your real world. When you take action and make progress, you are closing the gap between the two worlds. You are bringing your idea of what you want into reality. So take action. The Rule of Five states that you must take at least 5 actions that will lead you to your goals each day. Follow this rule and work on your goals. No matter what happened, stay 100% committed and take 5 action steps each day. If you have completed 4 tasks in the day and there is still one task left and it is already late night, what should you do? Be committed to what you have promised yourself. Do the final task even if you have to stay up late. Make it a habit and create the standard that you will accept nothing less than 100% commitment for your goals. I often write down my tasks and the things that I want to get done on my planner. I review it every day and I bring it with me so that I can remind myself of my tasks. I’m serious about reaching my goals. If you are not serious and you think that your goals are just like hobbies, you will never achieve them. So treat it seriously. Be 100% committed to the things that you want and results will come to you. Yes, the next thing you can do to align your everyday life with your goal is to write it down. Don’t just think about your goals. And don’t just write them down for once. Nobody says that you should just write down your goals once and let the rest up to circumstances. No, in fact, you should practice writing down your goals, every day. The key is that you want to condition your goals into your subconscious mind. You want to make your goals a part of your life. And when you write them down, you reinforce and tell your mind that your goals are important. You keep reminding yourself of your goals through writing. External storage is easy to explain: you’re storing the information contained in your goal in a location (e.g. a piece of paper) that is very easy to access and review at any time. You could post that paper in your office, on your refrigerator, etc. It doesn’t take a neuroscientist to know you will remember something much better if you’re staring at a visual cue (aka reminder) every single day. Encoding is the biological process by which the things we perceive travel to our brain’s hippocampus where they’re analyzed. From there, decisions are made about what gets stored in our long-term memory and, in turn, what gets discarded. Writing improves that encoding process. In other words, when you write it down it has a much greater chance of being remembered. Plenty of studies have shown that when you write things down, you tend to remember them better. Thus, when you write down your goals, you are reminding your mind of the things that are truly important to you. And when your goals are in your mind, you have a better chance of acting on them. In other words, you align yourself with your goals better when you write them down on a daily basis. Scott Adams, the famous cartoonist who created Dilbert said in his blog that he wrote down his affirmations 15 times every day. Each day, he writes, “I, Scott Adams, will be a famous cartoonist”, 15 times. Somehow, magic happened and he successfully achieved his goal and became the most syndicated cartoonist. That’s the power of writing down your goals, every day. Another great method to align your goals with your life is to visualize them daily. It works exactly like writing down your goals on a daily basis. But for visualization, you just need to sit and think about the achievement of your goals. Every day, spend a few minutes to imagine the achievement of your goals. If your goal is to drive a BMW, every day, see yourself driving it. Imagine the car is parking in your garage. Imagine your old car as the new BMW that you want, and when you are driving, see yourself sitting in the car and actually driving your dream car. It may sound silly, but it works. Plus, visualization is a scientifically proven method that can connect you with what you want. A study conducted by Dr. Biasiotto at the University of Chicago on a group of basketball players discovered something interesting about visualization. The second group just visualized themselves making the free throws. After a month, Dr. Biasiotto tested the players. He found that the first group improved their free throws skill by 24%. The third group did not improve at all, which was expected. However, the second group who visualized the training has improved 23%, without touching a basketball at all. When you visualize something, your brain sends an impulse to your neurons to ‘perform’ the action. Even without you physically performing the action. This is why you feel sour and you will get more saliva in your mouth when you imagine squeezing fresh lemon juice into your mouth. Remember, you don’t actually drink the lemon juice, you are just visualizing the act. But still, your mind creates the same effect as you are actually drinking it. If you want to know why visualization works, read this article from Huffington Post. Therefore, every day, spend a couple of minutes visualize yourself living in your dreams. See yourself achieving your goals and are already winning. More importantly, act as you have already achieved all your goals. When your characters, traits, and habits, change, success will come. Yes, read books and materials that related to your goals. I’m a blogger, so every time when I read about other successful bloggers who have made it, I feel motivated. I feel driven and I keep telling myself that if they can do it, so can I. This is what you need to do too. Every day, spend at least 30 minutes into reading. I usually read about 2 to 3 books a month. But from now on, I wanted to increase my time spent on reading. I want to read a book per week. You see, the purpose of reading may not be to learn. While learning is important, reading to maintain your motivation is also important too. You also want to keep yourself updated in your industry. For instance, if your goal is to buy a big bungalow for your parents, and you read about news who achieved a similar goal as yours, you will feel driven. You will believe that what you want is possible. You will believe that your goal is possible. This is why reading is important. Yes, you read to learn and to improve. At the same time, you read because you want to maintain your momentum too. As a blogger in the personal development niche, I don’t just read about self-help books. I do love to read those books, but I also read about blogging, building an online presence, maintaining blogs, etc. Basically, I read about things that can motivate me, improve and expand my knowledge. This way, you will make sure you are constantly connecting yourself with your goals. And this is what you must do to align your daily life with your goals. Think about it, how often do you talk about your goals? Do you keep them to just yourself or do you openly discuss them with people who are supportive? If you look at all the successful businesses and companies, you will notice that most of them did not start out as a one-man journey. Steve Jobs started Apple with a bunch of good friends including Steve Wozniak in a garage. The same goes for Microsoft. Bill Gates started the company with Paul Allen, his good friend. Tony Hsieh, the man behind Zappos did not start out alone too. Hsieh started LinkExchange with his friends from college, which the business sold to Microsoft for $265 million. The point is that nobody can succeed alone. This is because when you are trying to do everything on your own, there is no one there to support, to encourage, and to remind you of your goals. It is easy to feel lost and lose motivation when you are trying to do things alone. When you are lost, you forget about your goals. You lose your purpose and you fail to align yourself with your goals. So try to talk about your goals with someone who is supportive. In my case, I talk about my blogging journey and my vision in building internet businesses with my wife and a few other friends. They are supportive and they encourage me to continue to do better. And every time after I shared my visions and talked o them about my journey and experience, I feel relieved and that I can do better. It is good to know that there is always someone who will back you up when you need the inspiration and motivation. Thus, talk more about your goals. When you talk about your goals with others, you are reminding yourself of your purpose and aims in life. Your conversation reconnects and realigns you with your goals again. Yes, without planning, how can you align yourself with your goals? I have seen many people set a goal and they write it down, but that’s all they do. They don’t plan for it. They don’t have a strategic action plan of what they need to do to get the results that they want. For example, it is easy to understand that if you want to achieve your goal of losing weight, all you need to do is diet and exercise, right? This is where the problem occurs. If you don’t plan for it, nothing will happen. You tell yourself that you want to lose weight and you want to exercise more, but what do you do? Nothing. You need a plan. A plan as in you’d lay out all the steps that you need to take each day, each week, and each month. Even if your strategy of losing is to exercise more, you need to create a plan for it. Write down exactly when are you going to exercise, where, and when. A study in the British Journal of Health Psychology found that 91% of people who planned their intention to exercise by writing down when and where they would exercise each week ended up following through. This article from James Clear and you will understand how the implementation intention works. I will meditate for one minute at 7 a.m. in my kitchen. I will study Spanish for twenty minutes at 6 p.m. in my bedroom. I will exercise for one hour at 5 p.m. at my local gym. I will make my partner a cup of tea at 8 a.m. in the kitchen. When you state your action step this way, you are giving crystal clear intention to your brain. And when the time comes, you will act accordingly. Remember, research has shown that 91% of the time you are more likely to follow through and take action when you state your intention this way. So stop giving vague action plan to your mind. Use this technique to greatly increase your likelihood of following through. Hence, if your goal is to lose weight through exercise, write down exactly what kind of exercise you want to do (action), for how long (time frame), when are you going to do it (date), and where you will be doing it (place). One of the most commonly neglected actions in reaching your goals is tracking and measuring. People just don’t measure their goals and they don’t track their progress. The reason is simple. Either they are not serious with their goals, or they are fully committed to them. If you truly want to achieve your goals and align them with your life, you must measure them and track them. Tracking your progress is important because it tells you where you are and if you are moving forward or backward. Not only that, when you started scorekeeping for your goal, you will be more engaged with it. Take a look at the sports world. Guess what will happen if people don’t measure or do the scorekeeping? Are you going to play all out if there is no scorekeeping? Not at all. You play to win. And if you can’t win, there is no point to play it all out and give all your effort, right? Imagine a group of basketball players playing the game without scorekeeping. They don’t have a way to measure the game. It is not a game or match at all. But when scorekeeping begins, the players will play differently. They become more engaged with the game and they play it with higher commitment because they want to win. Do I need to explain more on this? If you want to align yourself with your goals, just celebrate your progress. Even if it is just a small victory like making a phone call or publishing your first article on your blog, you must celebrate. Now, I’m not saying that you should throw a party and get all your friends for a night out. I’m saying that you should acknowledge your progress. It can be as simple as giving yourself a pat on the back, praising and giving yourself a compliment, take an hour off, or pamper yourself with some snacks after all the hard work. You want to condition your mind to think that making progress equals pleasure. The more you succeed, the more you want to succeed. Thus, you want to celebrate and make yourself feel good. When you feel good, you want to do more. And when you take more action, you produce even more results. This is called the success cycle. If you don’t celebrate and acknowledge your success, eventually, things become a norm. You feel bored and the less potential you will put in. When you put in less potential, you get fewer results. And when you get fewer results, you reinforce by thinking that you are doing no good. Which makes you put in even lesser efforts and get even lesser results. So, acknowledge and celebrate your victories. Every time when you make some progress, a small win, feel good about it. That’s how you connect with your goals and bring them into your reality. That’s how you achieve your goals. And that’s how you can align yourself with your goals. Aligning yourself with your goals is one of the most important factors that will determine if you are going to achieve them. When your goals and what you do are not in harmony, you will never achieve them. Even if you do, you will quickly sabotage your own effort. This is why you must align yourself with your goals. So, use the 8 methods mentioned above and create the synchronicity to connect yourself with the goals that you want to achieve.